A bath is the perfect way to relax. 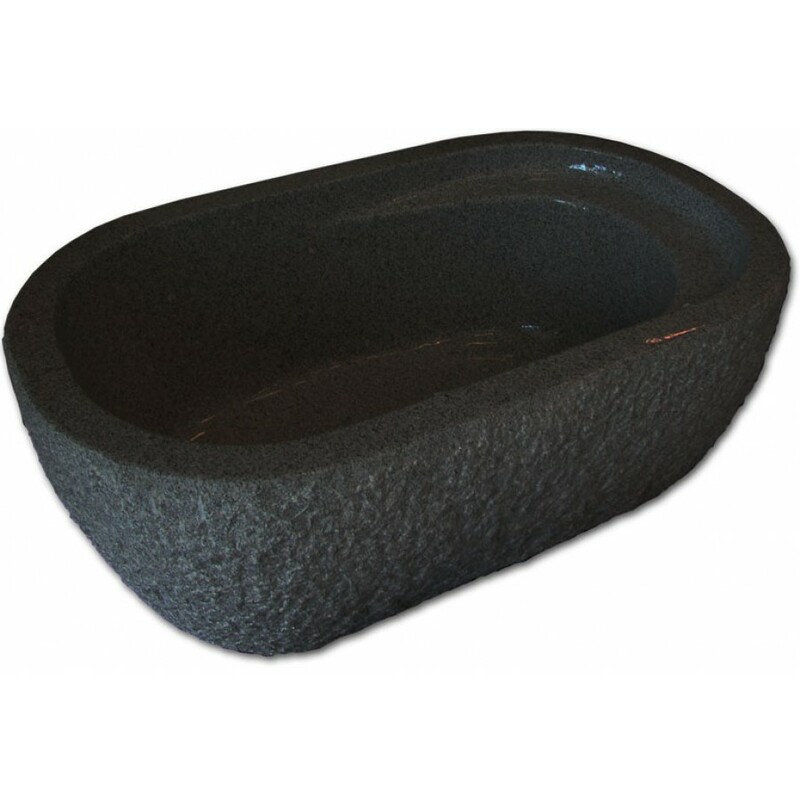 Add some elegance to your bathroom with a stone bathtub. Stone bathtubs are unique and are the perfect focal point to your bathroom. Below are five beautiful and unique stone tub designs we are sure you will love. 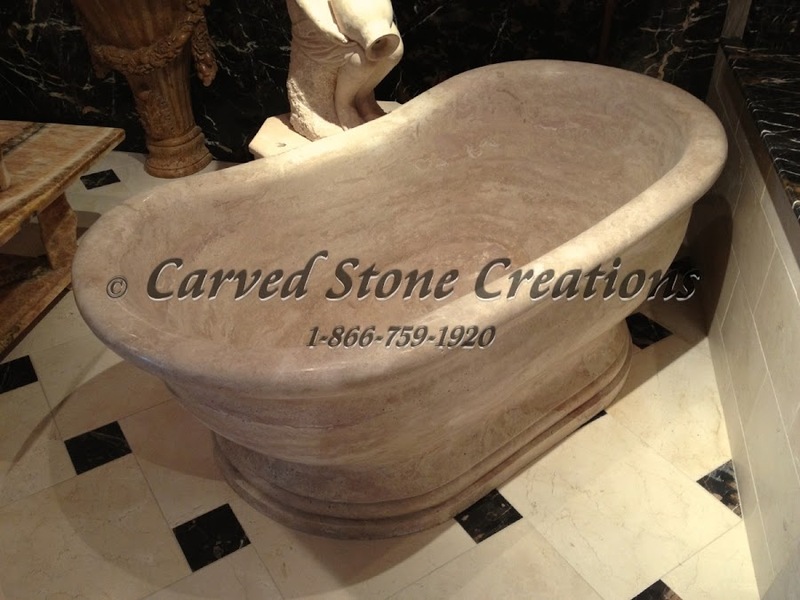 This travertine soaking tub is a classic oval shape. The neutral color of the stone will complement many different color schemes. If you are really looking to make a statement, this tub will do it. 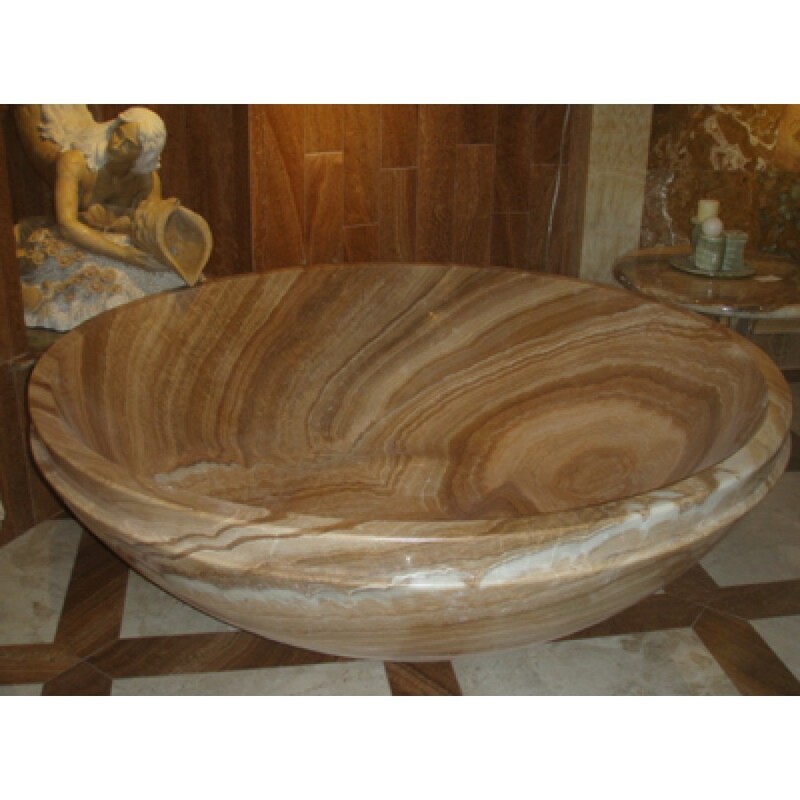 The mahogany onyx tub has a wood grain pattern and coloring. This tub is very unique, perfect for a contemporary design. This contoured oval honed Hunan White Marble tub will add an elegant look to your bathroom. The elegance of the white marble stone is perfect for any bathroom. This bathtub is another tub carved from onyx. The beautiful wood grain pattern of this stone is especially unique. This tub includes three steps to help you get in and out of the tub and a waterfall faucet stand. If you are looking for a more rustic look, this tub is perfect. The interior of the tub is hand-polished and smooth. The exterior of the tub is a hammered finish, which leaves it a little rough; the perfect rustic look! The contrast between the two finishes is stunning. 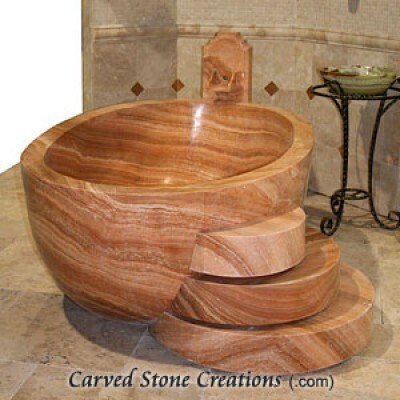 For more natural stone bathtubs, visit our ideas gallery.